Sinn Fin local election candidate John Nugent at the Geraldines' soccer pitch. 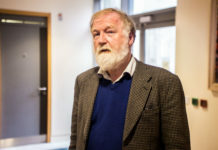 SINN Féin election hopeful for Limerick City East, John Nugent has condemned what he describes as “Fianna Fáil doublespeak” on the issue of scramblers and antisocial behaviour in Garryowen. 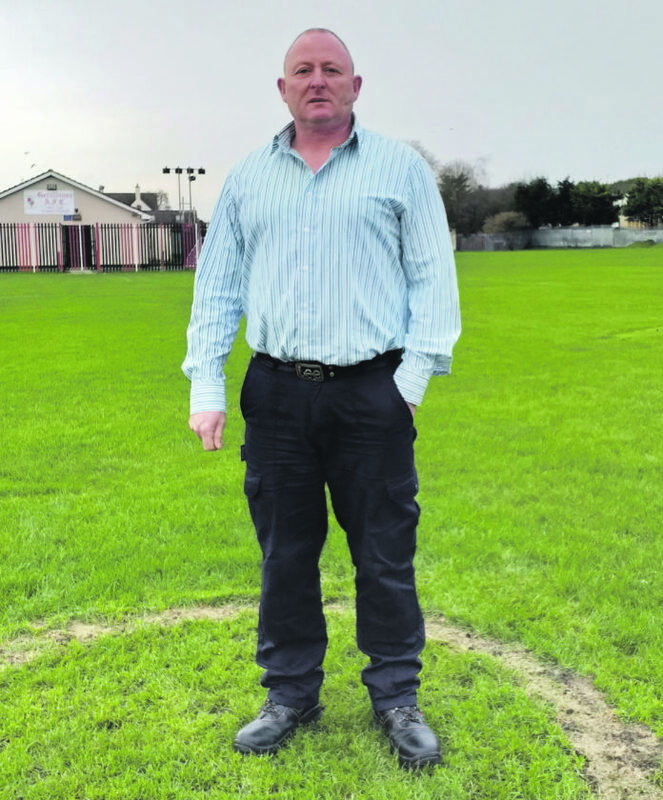 Mr Nugent, a resident of Garryowen, was reacting to comments from Cllr Kieran O’Hanlon in last week’s Limerick Post highlighting the recent damage to Geraldines’ soccer pitch by a scrambler. He pointed out that a Sinn Féin Bill to deal with the issue of scramblers was blocked by Cllr O’Hanlon’s party just before Christmas. “I had to make sure my eyes weren’t seeing things when I saw Cllr O’Hanlon’s picture and his condemnation of this disgraceful antisocial behaviour,” Mr Nugent told the Limerick Post. Mr Nugent believes that this Bill would have given Gardaí the powers and resources to deal decisively with the issue. “This Bill would have ended the torment and fear people have in communities like ours caused by the irresponsible and antisocial activity of those who ride their quad bikes or scramblers in public green spaces and through housing estates without care or caution. “Sinn Féin has been trying to change the law to regulate these vehicles for years, and we are blocked at every turn. Meanwhile communities like Garryowen continue to suffer and lives are put at risk because of government and Fianna Fáil inaction,” he claimed. He suggested that Cllr O’Hanlon spend more time getting his party to stop blocking legislation dealing with this issue “before his next photo opportunity”.